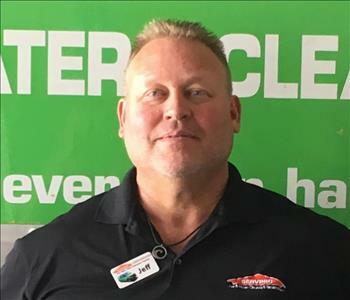 Bill is the Operations Manager at SERVPRO of Northern Colorado Springs/Tri-Lakes. Bill has been part of our SERVPRO family for over 13 years. He started with SERVPRO as a technician and has used his vast knowledge to become an integral leader within our company. He holds seven IICRC certifications, four SERVPRO certifications and is a certified Large Loss Specialist. Bill is an active member of Harvest Fields Corners and has participated in missions trips to Haiti, Pakistan and Afghanistan. He enjoys golfing, restoring his '69 Mustang and camping. 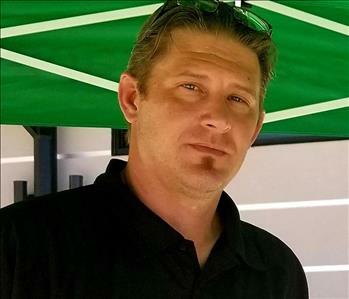 Luke is our Production Manager and has been part of our SERVPRO family for over 8 years. 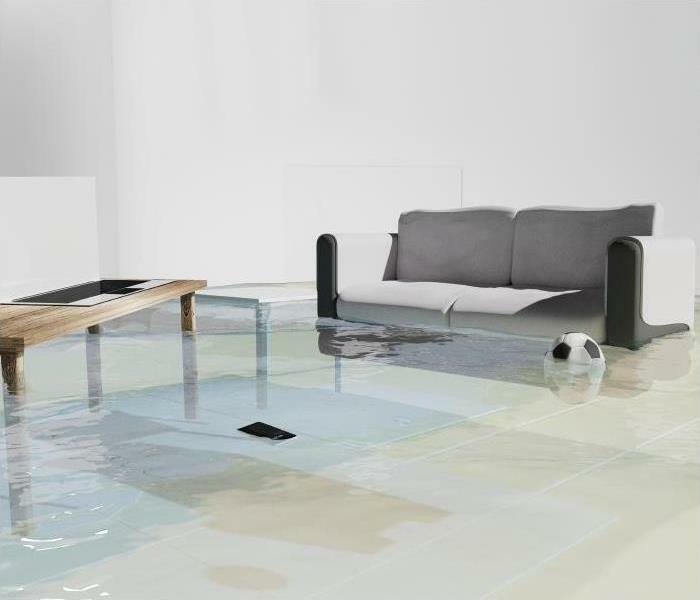 He holds six IICRC and four SERVPRO certifications, and is a certified Large Loss Specialist. His experience and knowledge make him a great leader on our team. In his free time, Luke loves being outdoors. You can usually find him camping, fishing or playing with his dog Duke. Nicole is our office manager. She grew up in Louisiana and moved to Colorado Springs 2 years ago. 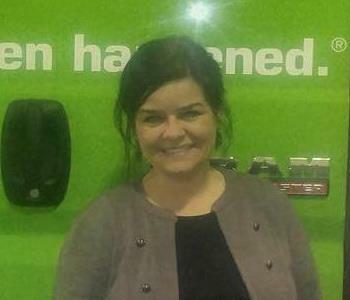 She loves working with numbers and in her last position before SERVPRO worked as a labor analyst. Nicole holds a very important position as she is the hub so that our production and marketing teams operate with maximum efficiency. She plays a critical role in customer service by scheduling projects, interaction with insurance adjusters, billing, and accounts receivable. Nicole has two teen-aged daughters in high school. Jeff holds an MBA and 25 years of sales and management experience. Prior to working for our franchise, Jeff held management positions at Homeadvisor and 3M. In his current job as marketing representative, he reaches out to new customers and makes sure our existing customers remain happy with the work we do. Jeff is in charge of many of our key commercial accounts. When not working Jeff volunteers for Healing Waters, an organization that teaches disabled veterans how to fly-fish. 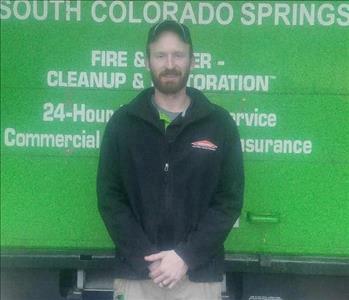 Chris Rizzuto is a Marketing Representative who works with SERVPRO of Northern Colorado Springs/Tri-Lakes. His job is building relationships while gathering new clients. Chris believes through hard work and attentiveness anything can be achieved. Working for SERVPRO gives him the opportunity to help others. Chris has already started this path by helping many put their lives back together after unexpected losses in their house and business. Chris has formally worked in the apartment industry with over 17 years of experience in Property Management. He was not only a Maintenance Supervisor but a property manager and regional manager throughout his experience. 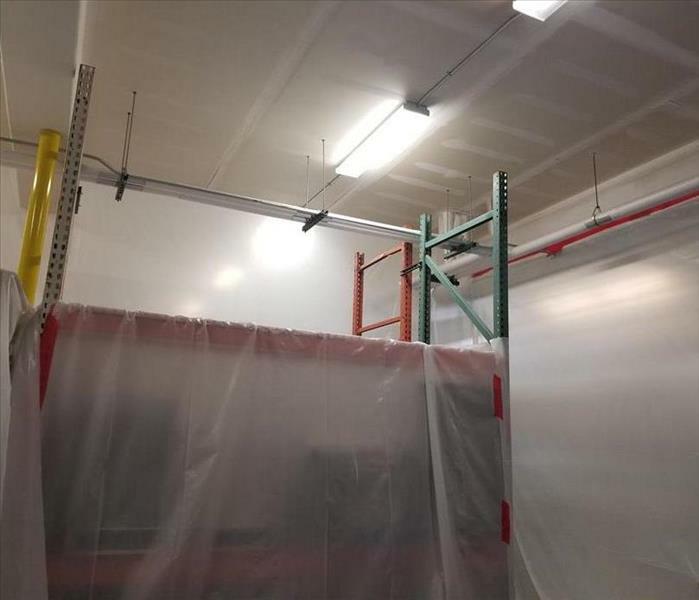 Chris holds certifications in Asbestos, General maintenance, EPA, Hazmat as well as property management certifications. Pearce works as a technician at our franchises. Prior to joining SERVPRO he worked at Seven Falls at the Broadmoor and in customer service at Colorado Springs Country Club. If you ask Pearce to describe himself, he will tell you he likes to live an active lifestyle, which is why he enjoys working in the field. When not at work Pearce enjoys hiking, running, working out, and repairing automobiles. Colorado Springs born and raised, Mike joined our team in late 2017. He likes the science behind restoration work and enjoys helping those in need. When not working Mike likes to play hockey, work on cars, and play video games. This is Dre's first job as a technician and he really enjoys it. His favorite part about the job is the wide variety of losses we get calls for every day. Dre says, "No two days are ever the same!". When not working Dre enjoys making music and playing drums. Bryson has worked for SERVPRO for 4 years. He enjoys the challenge of helping our customers through a disaster and the variety of losses we handle. When not working Bryson likes fixing cars and rooting on his favorite football team, the New Orleans Saints.